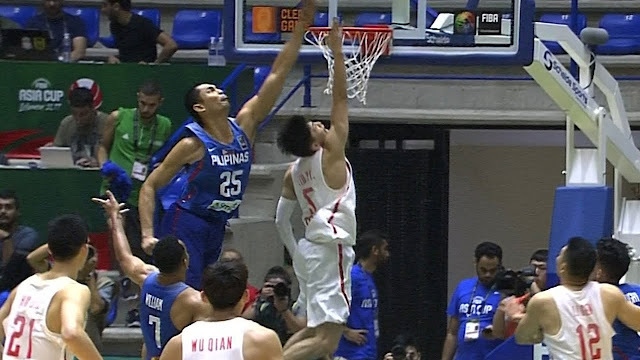 Check out how Japeth Aguilar defended their basket in the FIBA Asia Cup 2017 in Lebanon against the Chinese team. Aguilar ended the game with a total of 7 points 3 rebounds and 4 blocks. Gilas Pilipinas won the game 87-96.